Summer is here at the Dark Parlour! Everything Crazy and Colourful features Alternative Models , Photographers, Designers and more to whet your creative palette! 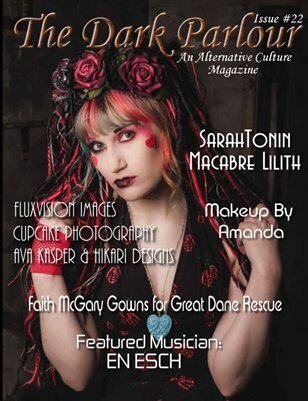 Models SarahTonin, Cyberia Star, Macabre Lilith, Faith McGary Designs, Aya Kasper & Hikari Designs, Cupcake Photography, Fluxvision Images, En Esch and more!